Privacy within the digital age is under siege, and it’s not just Facebook you should be worrying about. With the implementation of GPS in modern digital cameras and nearly all phones with a decent camera, photographers are sitting ducks. Not only do we have to fear the revealing EXIF data that includes the coordinates of our pictures, but photo sharing sites like Flickr are also prone to attacks and hacks…and that’s whack. Fortunately, Flickr’s privacy settings page is one of the most scrutinizing pages out there, especially compared to YouTube’s free-for-all joke of a privacy page. I’m going to highlight the main entrees every Flickr user should sample before tossing images up on the World Wide Internet for all to see…or not to see. GPS is awesome and all, but when it comes to taking pictures and videos, it’s not all that glamorous. Sure, it’s nice to know where you snapped the largest wheel of cheese in America, but your exact coordinates are embedded within the image’s EXIF data. If someone downloads your image, they can trace you. Flickr offers a setting called “Hide your EXIF data.” I highly recommend doing this if you value your privacy. Furthermore, head down to the “Defaults for new uploads” section and click on “Import EXIF location data.” If you select “Yes,” Flickr will use the GPS coordinates stored in the EXIF data in order to plot you on a map. No, no, no! Don’t check that box unless you want Lefty Fusilli to show up on your front doorstep with a violin case. Let’s move on to “Who can access your original image files?” Select “Only You” and save. This will prevent, or deter other users from downloading other sizes of your image. Next, head to “Hide your stuff from public search” and check all boxes before saving. This is preventing your images from showing up on Flickr, Yahoo, and other sites that use the API. You can also hide your Flickr profile here as well. Speaking of profiles, get out the fedora and thick polarized shades. You can either doll up your Flickr profile page like you do on Facebook, or keep it barebones. In fact, I have nothing on my Flickr profile page and use a funky name to ensure I am in the Cyber boondocks. The last thing I want is for some half-assed YouTube punk to steal my photography, and I’m sure you can empathize. In fact, I went to “Who will be able to see, comment on, add notes, or add people” and selected “Only You” for all three categories. This is tantamount to uploading a Private video to YouTube. Only you and those you invite can view them. These are the main events, and once you have them covered, you will be able to sleep soundly at night and dream of teddy bears frolicking on clouds of Cool Whip, knowing that you are safe from dastardly Picture Pirates. 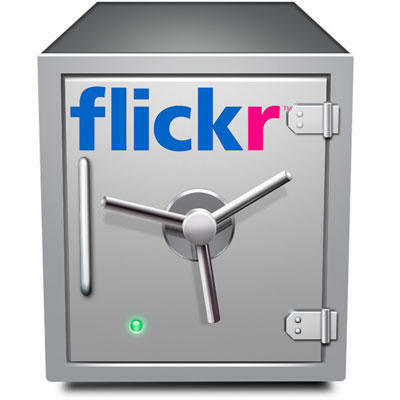 Of course, the Flickr privacy page is vast and involved, so take your time while combing through the remainder of the settings, If you have any additional thoughts on digital imaging privacy, please feel free to share in the comments.